The Interplanetary Strategic Alliance (ISA) are the main protagonists of Killzone, meant to protect the colonies of the United Colonial Nations (UCN) and enforce the UCN's will peacefully or by force. As new interplanetary colonies grew, the UCN discovered the lack of effective long-range communication caused gaps in the ability for the UCA to provide efficient defense throughout their star systems. To combat the lag, the UCN organized the Interplanetary Strategic Alliance (ISA), a body that allowed individual colonies the ability to integrate defensive capabilities to their specific requirements as well as enjoy full partnership in a unified defensive alliance of multiple colonies. Localized colonial administration provides funding and manpower whilst the UCN provides the training, equipment, and full political support for all of the interplanetary colonial administration. The ISA acts as the main policing and defensive body for the citizens, and the main revenue gathering party for the local govenrment. 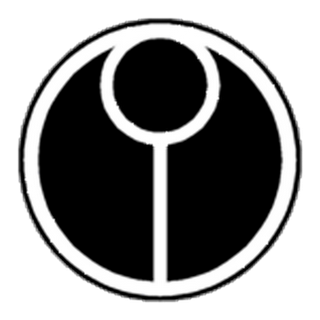 Each ISA command is directly subordinate to local colonial governmental authority, which in turn is subordinate to the UCN interplanetary authority. Since each ISA Command is an independent unit of each colony, it is not linked to the military command of the UCA. As a result, the ISA Command's budget and strength are determined by the funds each local colonial administration provides. Created in 2133, ISA Altair and ISA Alpha Centauri were the first commands. Following the defeat of the Helghan Corporation in the First Extrasolar War, ISA Alpha Centauri was given direct control over Vekta. They are arguably the strongest and best trained ISA Command. ISA Alpha Centauri was the first command to war with the Helghan Empire following Scolar Visari's invasion of Vekta, beginning the Second Extrasolar War. The ISA was able to repel the invasion of Vekta, but lost a nuclear weapon to the retreating Helghast forces. To regain the lost nuclear asset and ensure that the Helghast would never invade another planet again, ISA Alpha Centauri planned a retaliatory invasion of Helghan in order to capture the warmongering ruler of the Helghast, Autarch Visari himself. While the first wave of the invasion was completely wiped out, the second wave made far more progress and eventually stood poised to advance through the capital city of Pyrrhus and into Visari Palace itself. However, the rogue nuclear weapon Red Dust was detonated over Pyrrhus, annihilating all ISA and Helghast forces that remained in the capital city. Further efforts at victory were hampered by the execution of Visari by Sergeant Rico Velasquez, who defied direct orders of capturing the dictator alive. The remaining ISA forces then had to contend with a massive Helghast counterattack determined to avenge their martyred leader. Their numbers and equipment stood to overwhelm the remaining ISA ground and space forces. Recently, the ISA remnant managed to escape Helghan after boarding a Helghast space station and hijacking several Helghast strike fighters. Fighting to escape, they used the fighters to destroy the experimental cruiser of Helghast leader Jorhan Stahl, who planned to bombard Earth with hundreds of irradiated petrusite warheads, thus killing or irradiating millions of people on the UCN capital world. The experimental cruiser's destructive payload was instead detonated over Helghan, irradiating the entire planet and obliterating the entire Helghast invasion fleet destined for Earth. Avoiding the cataclysmic explosion in time, the remaining ISA troops aboard hijacked Helghast strike fighters made their way back to their home colony of Vekta. Since ISA forces vary by the colonies they protect, the quality of technology within them differs. ISA Alpha Centauri relies more heavily on static planetary defense grids and localized security. During the invasion of the First Extrasolar War, the Helghast overwhelmed the colony as a result. However, as the war progressed and more aid came from the UCN, ISA Alpha Centauri became a more powerful force. Powerful cruisers, such as the New Sun, indicate this. This branch maintains and uses all aerial and space fleet assets, including Intruder dropships, ISA VTOLs and space cruisers. First line of defense against invaders or internal enemies. The standard infantry of the ISA. The infantry of the ISA Navy. The elite covert branch; includes Shadow Marshals and Infield Agents. ISA Laboratories: producers of the M327 Grenade Launcher. ISA Weapon Systems: producers of the M82 Assault Rifle. ISA Vekta Shipbuilding Division: producers of the ISA Cruiser. The facilities used to manufacture all ISA-brand equipment are likely located on planet Vekta. In multiplayer, when playing as an ISA soldier, the HUD is displayed in a light-blue color unlike the campaign. The ISA logo looks highly similar to a commonly-used symbol in other games. It most resembles a sideways version of the symbol from the Marathon game series or the Tau symbol from the Warhammer 40,000 franchise. It most likely represents the relationship between Earth and the colonies, imaged by how the moon "revolves around the Earth".